Is Tom Hiddleston Joining Sherlock? 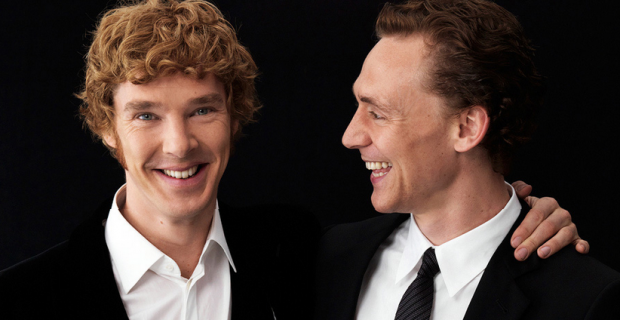 UPDATE: Just to fan the flames, the BBC have released a new video which cleverly edits together clips from Sherlock and Tom Hiddleston’s The Night Manager to give us a taste of what Cumberbatch and Hiddleston as brothers would look like. Curiously, the tweet that posted the video from The BBC Store has since been deleted. Take from that what you will. You can still watch the video on the following link. 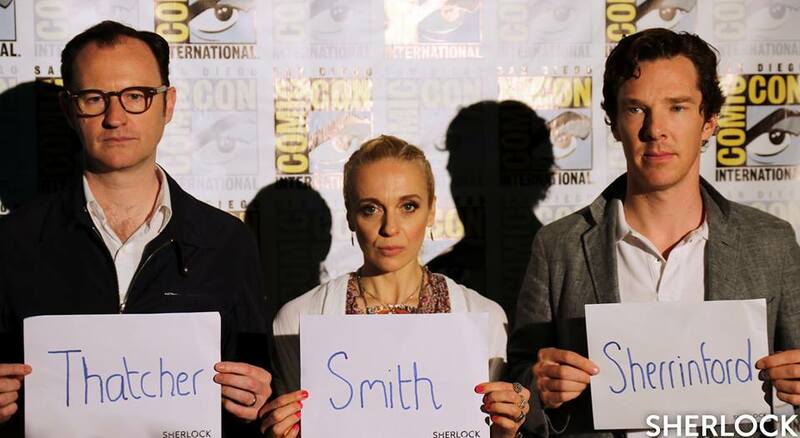 At this weekend’s San Diego Comic-Con, three hints for the upcoming season were revealed: Thatcher, Smith and Sherrinford. While the first two are fairly nondescript, Sherrinford can only refer to one thing. Though he isn’t a creation of Arthur Conan Doyle, Sherrinford Holmes is a common character in Sherlock Holmes stories – usually depicted as the eldest brother of Sherlock and Mycroft. But, if Sherry H really is coming to Sherlock, who could play him? Well, fans have this covered too, as many have repeatedly called for British mega star Tom Hiddleston to play the part. As awesome as that would be, it always seemed a bit of a pipe-dream. Now, though, new evidence suggests this might actually be happening! While at SDCC, Mycroft himself posted an image of him and Amanda ‘Mary’ Abbington with the Hiddleston. The actor and Gatiss are known to be friends, so that’s not too incriminating in itself. However, it’s the photo’s caption that has got us thinking. In case you don’t know, “blud” is a British slang term for, guess what, “brother.” Is Mark giving us a sly hint that Hiddleston will appear in the series? Well, maybe. Alternatively, he must be fully aware of the online rumours about Tom joining the show – so he could just be deliberately “trolling” the fans. Only six months to go until we get to find out which it is! Do you think Tom Hiddleston will be turning up as Sherrinford in Series Four? Let us know your opinion in the poll below! Oh if only – I don’t even dare hope! I mean, it could just be two former co-stars being in the same place at the same time and are catching up (Mark and Tom were in the Donmar’s Coriolanus). But still… I wish! If Hiddleston was introduced into the Sherlock Universe, I think my heart might stop.